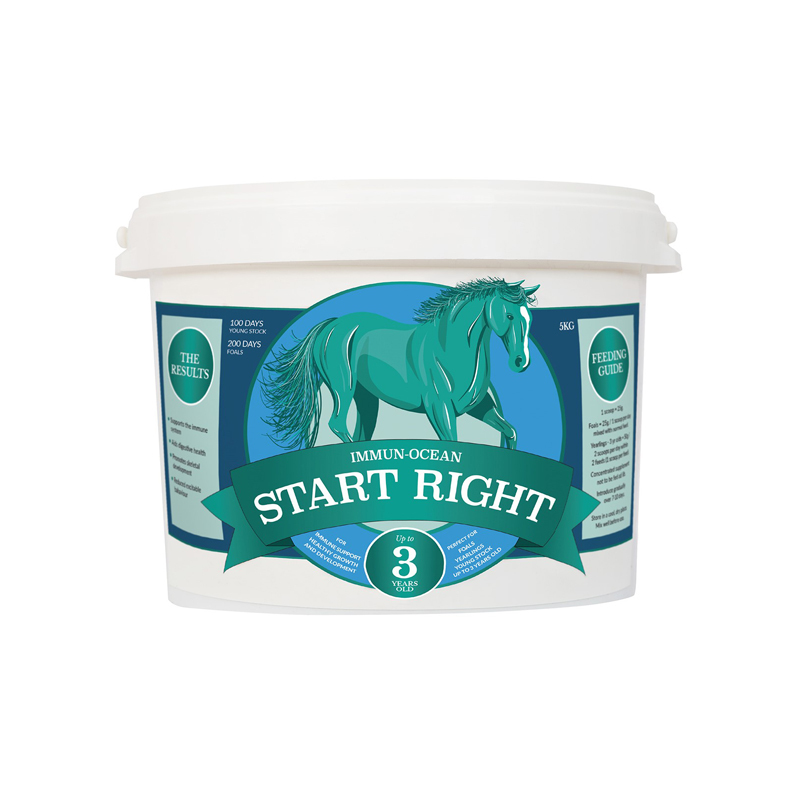 Start Right is a natural feed supplement, comprising of Ascophyllum nodosum and Lithothamnium, which is specially formulated for weaned foals and young horses. It provides a balanced blend of vitamins and minerals, which support skeletal development, digestive health and the immune system of young stock, up to the age of 3 years. The calcium content in the Start Right blend is beneficial for bone and hoof development and the magnesium helps reduce excitable behaviour. This supplement is 100% natural and contains a balanced mix of minerals, vitamins, amino acids and antioxidants that help to promote a healthy immune system and aid the overall wellbeing of the young horse. Available in 5kg tubs, in pellet form. We recommend you introduce the feed gradually. Lithothamnium sp., magnesium oxide, yeast, sugar, flax oil, vanilla flavour, live yeast, Magnesium (Atomic Absorption) 9%, Crude Oil 1.0%, Crude Protein 2.5%, Crude Ash 76%, Crude Fibre 2.8%, Calcium (Atomic Absorption) 22%.